The following is an overview of how we play our fire zone coverage concept. We utilize several different blitz patterns but our coverage rules remain consistent throughout. We use this exact information to teach our players not just to do their job, but the overall schematic of the coverage and why we do what we do. Fire Zone Blitzes consist of any 5 members of the defense rushing the passer, and 6 members of the defense dropping into pass coverage. • For these 6 droppers we will use the phrase “3 Under, 3 Deep”. • THREE – Fire Zone 1/3 defenders. Defenders responsible for deep 1/3. Specific technique depends on offensive set (2 x 2 or 3 x 1). • TWO – Seam flat defenders. - Specific technique is determined by offensive set (2 x 2, 3 x 1). • ONE – Hook #3 defender. switch/slant, play on #3’s low shoulder. We will play our Fire Zone coverages specific to different offensive sets – 2 x 2 or trips. In 2 x 2 coverage, we will play “Gold” coverage. Colors for our defense = man principle coverages. For trips we will play “Zone It” coverage, which is more of a true zone coverage. It is essential for all LB’s and DB’s to know the 6 dropper techniques because in the blitz package you may be asked to do any one of those 6 jobs. Any 2 x 2 set will assume we are in Gold Coverage until told otherwise. 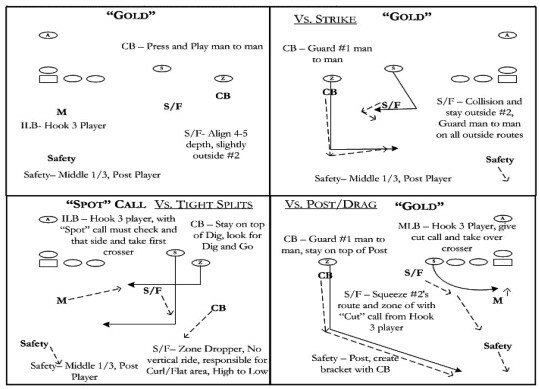 • The premise of Gold coverage is for our Seam/Flat Defenders to take away all outs and vertical routes by the #2 WR. • “Match/Carry/Deliver”. We match all out breaking routes, carry all vertical routes, and squeeze and deliver all in breaking routes to the Hook 3 player. 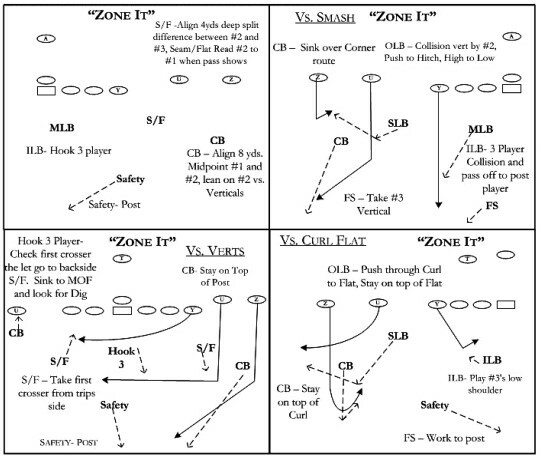 • Outs and vertical routes are common checks for offenses when recognizing fire zone coverage. 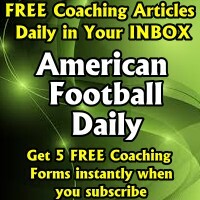 • For outside 1/3 players, generally CB’s will play press man coverage. • One player is in the post. We will check “Spot” when #1 and #2 get close together. • When #1 and #2 are close, it decreases the chances for vertical routes and increases the chances for crossing routes and quick switches. 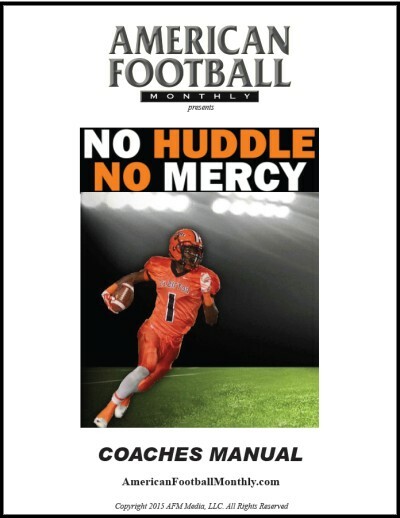 • Spot coverage means you are playing more of a true zone drop with the Fire Zone 1/3 player (usually a CB) and our Seam Flat player to that side. 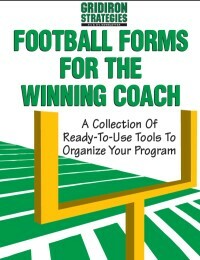 • It is possible to play a Spot call to one side of a formation and a Gold call to the other. 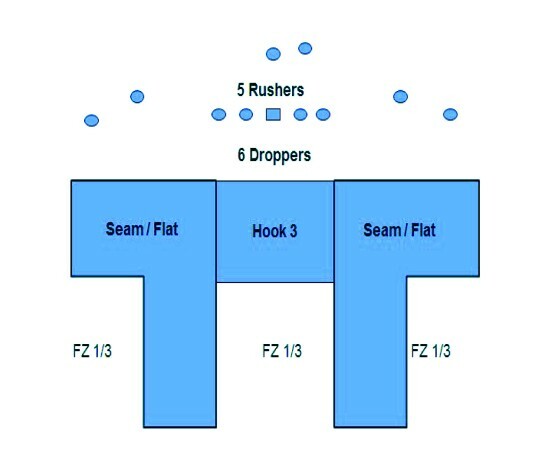 • Hook 3 player must know in any 2 x 2 set Gold or Spot he is responsible to take the first crosser he sees. • He may not have any help because the S/F players may be manned up depending on #2’s route. • ‘Zone It’ is essentially a true Zone Drop by the 6 droppers. • Outside 1/3 player to trips side will midpoint #1 and #2. • Seam Flat player to trips side will play high to low through Curl to Flat area. • Hook 3 player will match up with #3, but will not take #3 cross. Backside Seam Flat player does not have an immediate threat and will play Bronco Technique. 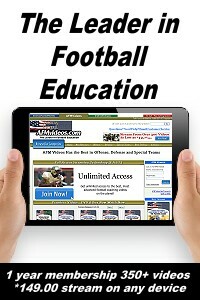 All of our blitzers make decisions/reads on O side of the LOS and heal depth of O-Line. 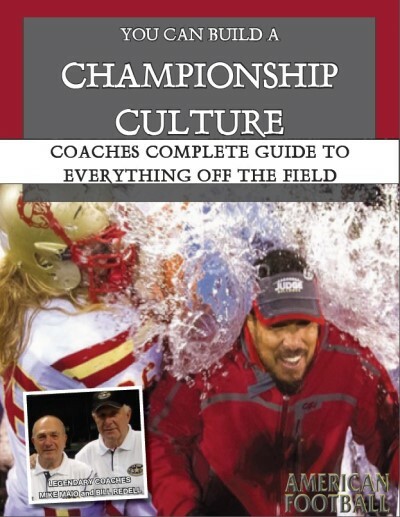 - Zone Read : Squeeze Square - keep shoulders square and shuffle no more than one yard past the line of scrimmage. The wide rushers are QB players but we want them to be able to help on the RB once the ball is given. - Run Away: Squeeze and look for boot, reverse, etc. About the Author: P.J. Volker rejoined Head Coach Trent Miles on the Georgia State staff in 2013 after working with him for three years at Indiana State. 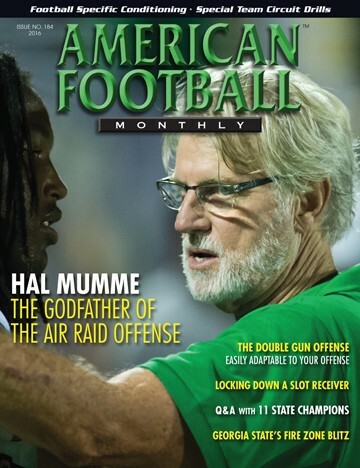 He serves as both linebackers coach and recruiting coordinator. Volker has also coached at Thiel College and Thomas More College. He was a three-year letterwinner and two-time all-conference player at the College of Mt. St. Joseph (OH).